I hated waiting. If I had one particular complaint, it was that my life seemed composed entirely of expectation. I expected—an arrival, an explanation, an apology. There had never been one, a fact I could have accepted, were it not true that, just when I had got used to the limits and dimensions of one moment, I was expelled into the next and made to wonder again if any shapes hid in its shadows. That most moments were substantially the same did not detract at all from the possibility that the next moment might be utterly different. And so the ordinary demanded unblinking attention. Any tedious hour might be the last of its kind. Sometimes I’m floored by the way writers write. I say ‘sometimes’ because the sensation has become rarer with time. With more reading, the standard of novels has had to become higher. I know how that sounds. Of course when I say a novel’s ‘standard’, I don’t mean some objectively quantifiable measure of excellence – it doesn’t exist. And while producing a novel is an impressive feat, that it exists because someone went to the trouble of creating it does not factor into its quality. But still, sometimes, I read something of extraordinary beauty. And I know it’s extraordinarily beautiful because I’ve never read it before. I mean that in the sense that until you’ve seen a white Christmas, or a sunrise over sea – until you’ve seen it, you’ve never seen it before. 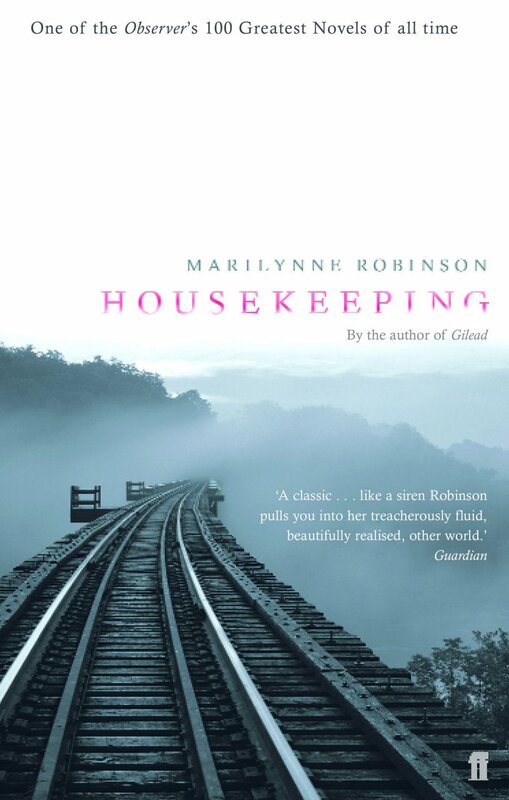 I felt that way throughout Marilynne Robinson’s Housekeeping (1980), the story of two orphaned sisters left in the care of their aunt Sylvie, a peculiar, enigmatic woman with an idiosyncratic, trance-like way of life. The narrator is Ruth, the older of the two sisters, and the story she weaves of her own and her sister Lucille’s transition from girls to teenagers, in the not-quite care of Sylvie, is as much philosophical as biographical. As great a character as Sylvie or Lucille is the town in which they are brought to live, Fingerbone, Idaho, a quiet, cold place in the American northwest, the history of which – or Ruth’s gentle, brilliant imaginings of it – make up a great deal of Ruth’s internal monologue. Allegedly in a style inspired by Ralph Waldo Emerson, Robinson uses Ruth as a ‘transparent eyeball’, by which a character sees and absorbs (rather than reflects) the godliness of the world through nature. Religious herself, Robinson’s faith does not overwhelm Housekeeping, but informs it in the way wisdom informs decision-making. It is un-intrusive and illuminating. I stopped and reread pages, even whole half-chapters, just to take in Robinson’s prose. I suppose that’s one of the beauties of literature: because it is not a natural phenomenon, it will be there like a strip of tarmac for as long as you care to find, walk and re-walk it. That no one had thought to point me to this particular strip of tarmac until now, my year of reading non-male authors, is a shame. Housekeeping was Robinson’s first book, and I’m not the first to gush about it. It was nominated for a Pulitzer. That Robinson did not publish any other works of fiction for another twenty-four years after Housekeeping has been bemoaned at great length – and when her second work of fiction, Gilead, was published in 2004, she was given a Pulitzer the next year. I haven’t read Gilead, but there is every chance I will now read Gilead and its two successors, Home and Lila, for I have the sense that, had I not given Robinson a Pulitzer for Housekeeping, I also would have waited twenty-four years to rectify that mistake. I really enjoyed reading this book too. For me, it was the originality of the story that kept me turning the pages.